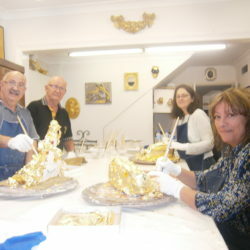 Our extensive 9 day class is designed to give you in-depth knowledge and hands-on experience in gilding. 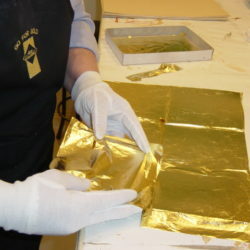 It would take years to learn what has been condensed into this professional gilding course. 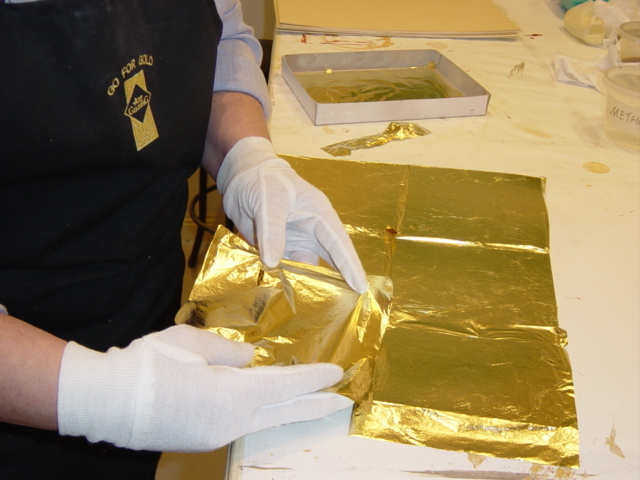 With no previous knowledge required, you’ll learn everything you need to know about gilding from our expert Master Craftsman, Karl Eggert. 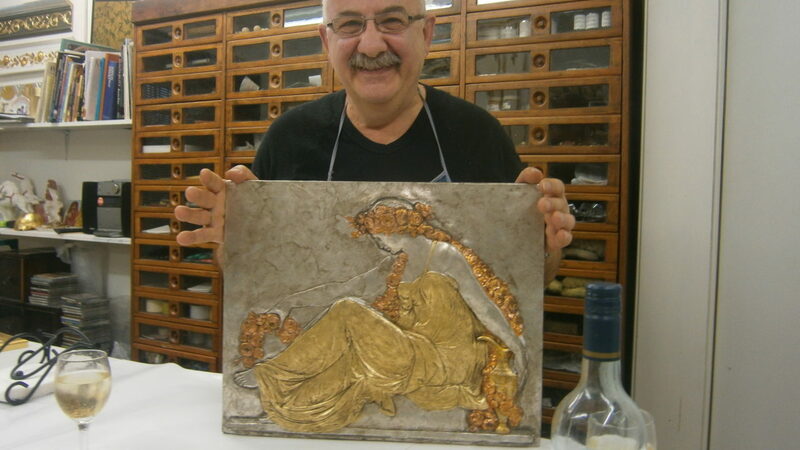 Karl has worked as a Master Gilder for more than 45 years and is acknowledged as one of the world’s leading experts on gilding. 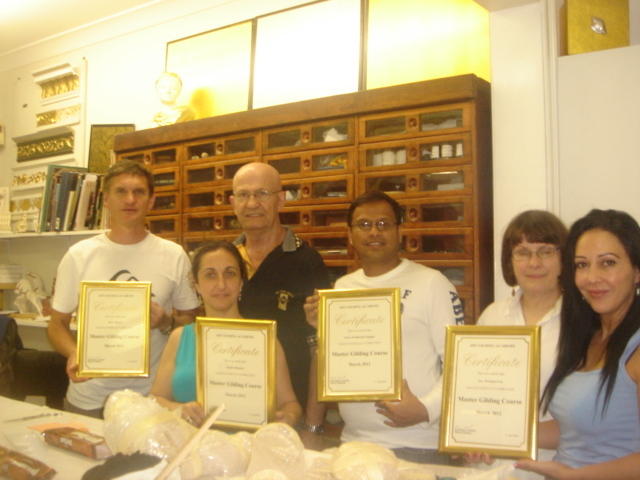 Students graduate from the course with a certificate of competency and a thorough understanding of the art gilding process. 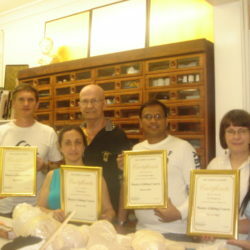 Maximum four students per Master Gilding Class. Application of gold and silver leaf, Dutch metal, aluminium and copper leaf. You will learn to use all types of leaves including genuine gold and silver, Dutch metal, aluminium and copper leaf which is heat-treated and has a wonderful sunburst of colours. Application of various leaves onto flat boards. This technique can be used to gild walls and ceilings. 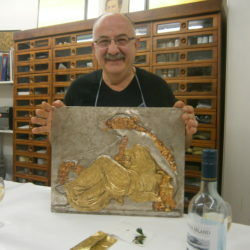 You will learn how to apply gold leaf to food and wine. We’ve found that good support is the key to success for many of our students so we’re passionate about making sure you get the most out of our courses. Generous discounts of 20% on all materials and supplies*. Opportunity to work with the Art Gilding team on architectural projects. 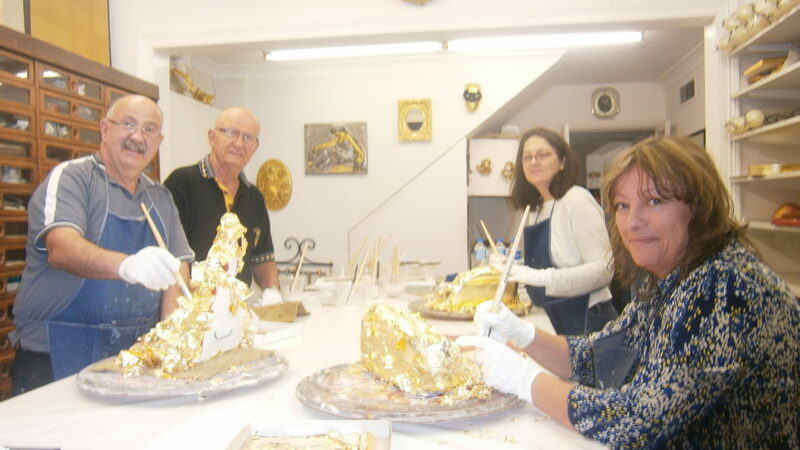 Master Gilding Classes are held over a period of nine days, starting on Saturday and finishing on the Sunday of the following week. Classes start at 10am and finish at 4pm each day. Course cost is $4180 (inclusive of GST). Email us or call Brigitte on 02 93103007 for more information or to register.